I was at good ol' Wal-Mart the other day with fellow Bauer-Power contributor Sundance, and we were standing in the checkout line when we both saw something funny. 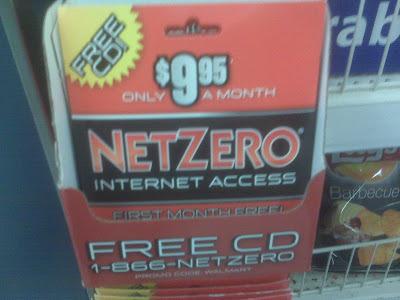 We saw, next to the candy and other re-hash junk, a box of free CD's for Netzero dial-up internet! Hurray, a free CD! Seriously though, the first thought that popped into my head was, "Who the hell still uses dial-up?" Then a second thought popped into my head after I saw the monthly charge Netzero still has the balls to charge ($9.95 per month). That thought was, "Why the hell would anyone be paying almost $10 per month for lousy dial-up, when DSL is only $4 more?" Can anyone answer me that riddle? I know people in our remote offices, usually places in the south like Texas, that tell me they still use dial-up because they don't get on the internet all that much anyway. Okay, I might buy that excuse if dial-up was only $5.00, but not $10. Seriously, here is a random DSL service I found on Google called DSL Extreme. For the love of sweet baby Jesus, they are only $12.95 for their basic service! The big boy in the DSL market, AT&T is offering their basic DSL service for $14.99 per month. 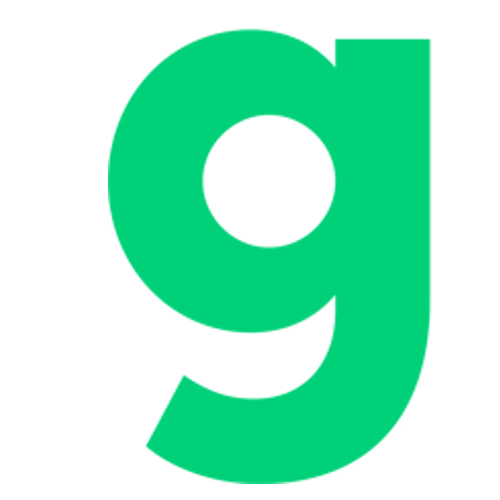 Do the math, and tell me where the hell do companies like Netzero get the brass balls to charge so much for such a crappy service like dial-up internet? Do you know of anyone still using dial-up? How much do they pay a month? Do they know that DSL is affordable now? Lets here your stories in the comments.